During the annual AIPAC conference, the pro-Israel gathering held in Washington DC earlier this week by one of the most powerful lobbying organizations in the USA, Albania was honoured with the Cultural Pluralism Prize for defending the Holocaust memory. Albanian Prime Minister Rama, who was present at the event, echoed the Albanian historic efforts to protect and help the Jewish people during the Second World War. In his speech, he stated that in 1932 Albania was the first country in Europe to acknowledge the rights of the Jewish community, at a time when antisemitism was wide spread. “When asked by German Nazis to hand in Jews, the Albanian religious representatives provided them with a list of gold they owned, instead of betraying their code of honour, i.e. the aith given to foreigners, to welcome and protect them in dangerous situations”, stated Rama. 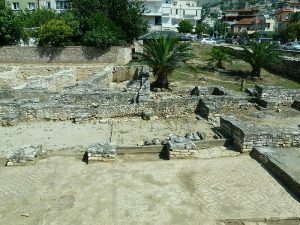 According to documents, it is thought the first Jewish people arrived in the south of Albania as slaves on Roman ships in 70 AD. 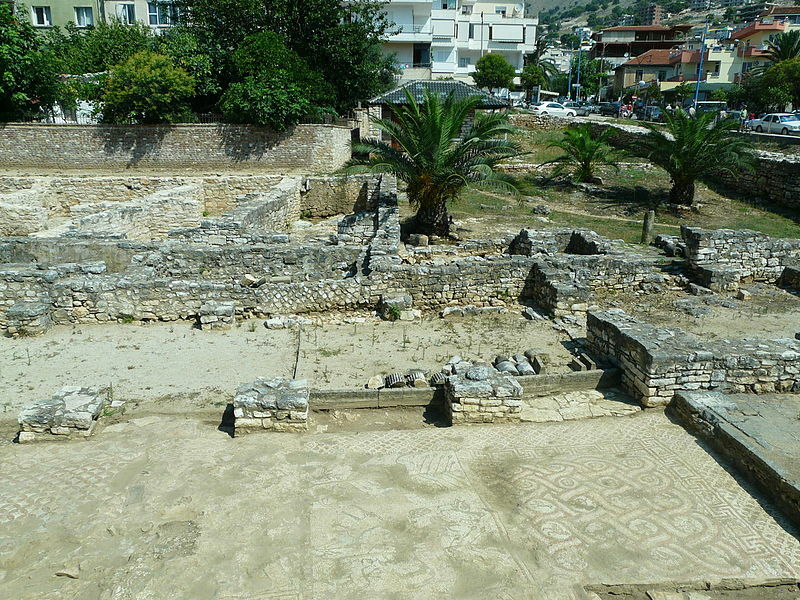 There is very old evidence of a synagogue that was found in Saranda city in 1971. 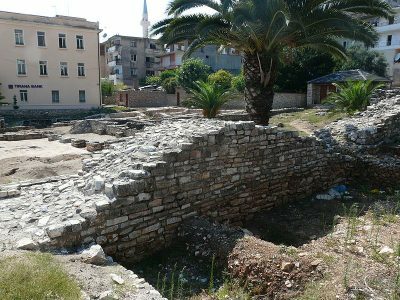 There is data from the Middle Age period in central Albania (Elbasan, Durres, Berat) that provides traces of the XIII century and the first documents were found in the XV century. During that period, most of Jewish people arrived from Spain and Portugal to escape the Inquisition and primarily settled in Elbasan. During the Turkish invasion, their Synagogue was destroyed. Most of the Jews were involved in trade. There is evidence of a Jewish grave in Belsh near Elbasan, belonging to a well-known Jewish trader. Coins and other archaeological objects, like 6-corner stars, have been found, bearing Jewish names, like Jakov, Moisi or Abraham. At the end of the XIX century, another big group of Jews arrived to Saranda, Vlora, Korca and Gjirokastra from Thessaloniki, Greece. Some of them were exiled, some illegal, and considered Albania as a safer place due to the natives’ generosity, humanism and hospitality. They all received Albanian citizenship. Documents found in Tirana Parish of the Catholic Church trace the period after the First World War, showing the highest number of Jewish settlers in Albania, approximately 2264, mostly coming from Central Europe and neighbouring countries. The Albanian Catholic Church, as part of the native human solidarity and awareness, broke the time’s rules and helped the Israeli people convert to Catholicism, providing them documents as well, to protect them from exile and extermination. The Jewish issue was considered as an internal issue for Albanians. Many families have been honoured with the honorific title “Righteous among the nations”, as they prohibited Jewish persecution and extermination in Albania and also in Kosovo, where 42 Jewish families were saved during the Second World War. One of them was the Nosi family in Elbasan, central Albania, who sheltered the Menahemi family, offering them protection and economic aid, assessing the Jews as smart, successful and respected people. Marco Menahemi was an engineer, who after liberation contributed largely to many important projects of exploring natural and mineral resources in the country. He and his family left Albania after 1990 and went back to Israel. In his book, “Albanians and Jews – the protection and salvation”, 2014, Prof. Dr. Shaban Sinani provides a lot of original documents and photos, from national and foreign references, reconfirming the ancient good relationship of between the two nations, starting 2000 years ago until present time. He states that there has never been an attitude of anti-Semitism in Albania and the Jews were protected not only by ordinary people, but also by the state. During the communist period, there were no anti-Jewish measures; they were only isolated from the rest of the Jewish world, as were all Albanians. All kinds of religions were prohibited at that time. Only after the 1990s, most of Jewish people left Albania, to settle primarily in Tel Aviv. Today, there are approximately 160 Jews living in Tirana. In 2010, a new synagogue was set up in the capital, with Joel Kaplani as its first Rabin. There is a Jewish community center in Tirana. Another synagogue is in Vlora city, but it is not used. The first US ambassador, Herman Bernstein, in Albania during 1930 was of Jewish origin. Today, there is an Israeli Embassy in Tirana. In a previous interview, ambassador Cohen has maintained Albania occupies a place of honour in Israel. According to him, Albania is a wonderful country, with peaceful, hardworking people and breath-taking beauty, whose history has many similarities with the Jewish history. Now the relations between the two countries are strengthening, though I would say, more should be done regarding economic cooperation. There is an Albanian-Israeli Chamber of Commerce in Tirana and mutual business forums are being established. Mutual cooperation is mostly seen in agriculture, veterinary, air services and in the field if education and culture. This summer, there will be a direct flight from Tirana-Tel Aviv, so that visitors from both countries will have the possibility to learn more about their mutual history and friendship. During the annual AIPAC Conference, Albanian PM Rama stated that the establishment of the cultural centre regarding Albanian-Israeli friendship and the construction of an inter-religious museum in Tirana, in which the Hebraic community will be included, are going to serve as knowledge and memory of the long-life relations between the two countries for our younger generations and neighbours. Albania ranks first in the war against terrorism and violent extremism, providing an excellent example, in which Muslims and Christians can live together in harmony.